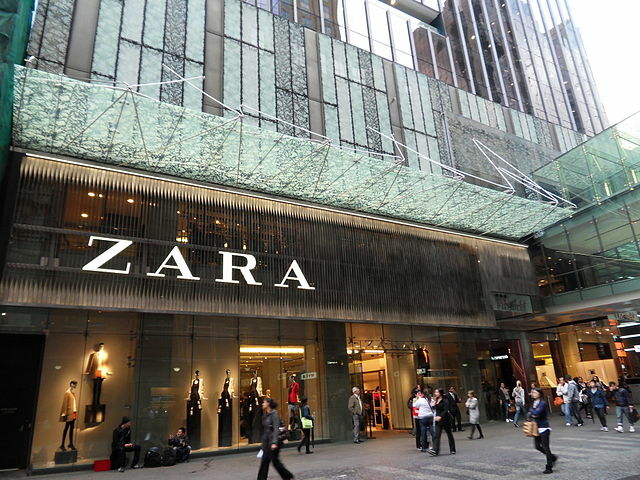 Zara is considered to be one of the giant players in production, supply chain management of retail industry worldwide. A Spanish retail brand founded in 1974 could not only sustain but exceed the customer expectations treating them ‘fairly’ with global presence. Strategy Analysis: According to Forbes List, Zara is ranked as 53rd Most Valuable Brand in the world in May, 2016. With a wide range of new products and flagship brands like Inditex Group, the clothing retailer has crossed the sale of $15.9 billion. At present, the company has around 2100+ stores across the globe. Still, the list is continues to grow. The major factor for Zara’s growth is competitive advantage of hi-end technology. In last few years, it proved fruitful in Australia and Taiwan especially. The online sales and profound experience in Supply Chain Management (SCM) are two factors making the brand successful in most countries. The company has ambitious business expansion plans for emerging market places like India, China to name few. Strategic planning is linked with business policies for better forecasting, budget and investment plans. Procurement and Outsourcing Strategies: Zara has revised the business models in terms of supply chain management to tap new business opportunities. It is based on ‘the fastest fashion’. Currently, the company has to rely on various partners, vendors and suppliers for sophisticated fabric. In addition, the wages in European countries compelled to minimize the profit margins consistently. Hence, it is mandatory to focus on developing countries with high population. India would be one such great place wherein low wages are available and huge potential for sales too. Outsourcing some of the activities will make Zara financially strong for long-term investments and sustainable and secure growth in future. Value Chain Analysis: Around 450 million clothing items are produced by Zara on yearly basis. Diversification and vertically integrated models enable the company to design, manufacture, distribute and retails the stores within only two weeks from the days it appears on catwalks. This is why New York Times admired Zara as “mind-spinning supersonic.” In other words, variety, affordability, flexibility and uniqueness are salient features of Zara’s business. It ensures one-to-one relationships for loyal customers. Inventory Management: ‘Just-in Time Production’ and ‘fastest fashion first’ are great initiatives of the company. It has increase the market share in United State more than 60% of the total sales. Online shopping is the first preference by the customers these days. Inventory control and optimization, automated demand forecasting, stock history etc. ensure transparency and accuracy. Prof. Felipe Caro (University of California) stated that centralization is the key to their success leading to effective decision-making process with great coordination as end-to-end process. ‘Lean production’ is used in each product and process development cycle. The Solid Base of Distribution Channels: Any company is successful only when they can work together and create a synergetic effect through coordination with multi-level departments and processes. The sales targets are directly affected by distribution either positively or negatively. Zara has solid network of distribution channels to cater the needs of customers. It is highly commendable that Zara converts a concept into a product within 15 days as compared to the standard industry average as 6 months. Such is huge difference of ‘speed’. It gives customized touch to Zara customers. Organizational discipline is synonymously used for Zara since long. The consistency in quality standards are always a concern for its competitors. For example, an average customer of Zara visits the company store 17 times (approx.) per annum against 3 times of its competitors. It is clear that customer retention rate is high due to fresh and unique variety available in every visit. They are assured that they will get something new every time. Competency mapping and capacity building through in-depth staff training initiatives made Zara to stand away from the crowd. Hottest trends in the markets, first and fast fashion, diversified and integrated supply chain models, inventory optimization, solid distribution web, customer database management, value chain have brought the glory to Zara. However, the company needs to redefine the strategies to manage the competitors and meet never-ending customer expectations of new generations too. Outsourcing, use of e-commerce, online sales will ensure sustainable growth in the long-term. If you have any assignment dealing with case-studies, Essaycorp will help you to prepare them.